There are now lots of specialized robots for specific tasks, creating quite the army of helpers. Here is a series of clever little devices that you can employ to carry out five of the worst household chores. This regular chore can be pretty annoying. It hurts the back, disturbs dust and takes up precious time. This is where robots like the LG Hom-Bot Square and Roomba come in. These clever devices can map a route to a home, avoiding obstacles and detecting dirt. 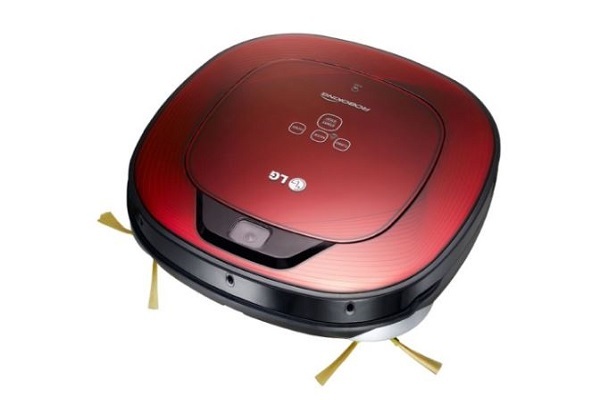 The LG Hom-Bot Square is popular because of its intelligence and ability to reach into the corners. Many are programmable for cleaning cycles, and some even recharge themselves. Alternatively, there is the iRobot Braava that also has a mapping feature to deal with bigger problems and spills. It has a quiet function and effective microfiber cloth. There are many choices across the price range, and most are intelligent and efficient enough for a good clean. Robotic vacuum cleaners are a brilliant idea for pet owners too because many of them can deal with pet hair. Regular shedding is part of pet ownership with many cats and dogs. It is preferable to let a robot deal with it than constant vacuum. Cat owners will also find pleasures in the fact that this is not the only robot tool to help them clean up after a cat. The Litter-Robot is an interesting alternative to the typical litter tray. This domed unit offers a place for cats to go in peace, and then discards the waste into a container. Owners do still have to remove the waste once a week, but that is preferable. In some ways, window cleaning shouldn’t be that difficult a job. It is just another surface that needs the right sort of attention. The main problem is that it can be difficult to get a good finish and many spend far too long removing streaks. The solution here is to have a robot to do it for us. 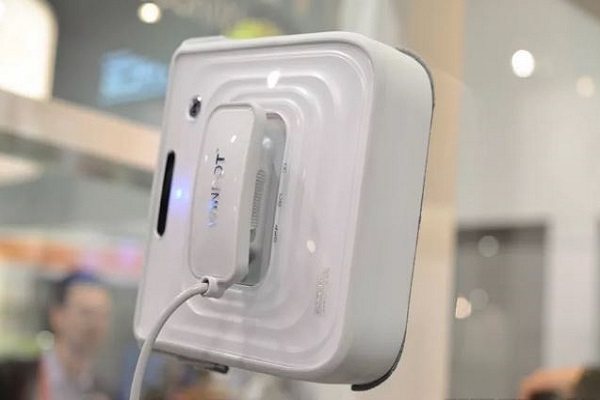 Winbot is the best example of a window cleaner robot right now. It travels on top of the window panes using suction and using its pads and squeegee to deal with smudges and streaks. Weekends are a time for relaxing in the garden and taking things easy. Some people like nothing better than to lounge around in the pool for an afternoon. Others like to set up the barbecue and invite people over for dinner. This is all great as long as the pool and grill are ready for use. Both need to be clean and shiny to be hygienic and inviting. The Grillbot is an excellent tool for cleaning the barbecue. It is tough enough to handle stubborn dirt and grease, and users can leave it alone for timed cleaning sessions. 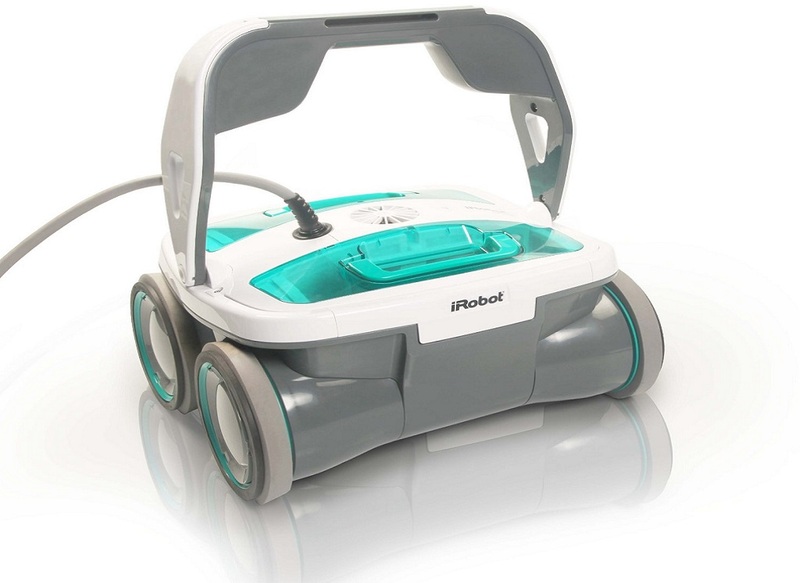 iRobot Mirra is one of the many robotic pool cleaners on the market. These devices cover the surfaces of the pool to scrub and vacuum at the dirt. This model is especially tough and effective and covers the area of the pool well. Finally, there may be bigger issues to contend with in the garden. We tend to delay some tasks as long as possible because of the time and effort required. Lawn mowing and gutter cleaning are high on this list. The iRobot Looj is ideal for cleaning gutters and saving homeowners from using tall and heavy ladders. It works effectively to collect the dirt and leaves and requires minimal intervention. Then there is LawnBott, the robotic lawnmower. This robot does all the hard work of a normal mower, with great cutting power, but none of the manual effort. It tracks its path and uses sensors for the length of the grass.